The Future is Female is an exhibition concept in which the work of 13 female artists is shown together with a text written especially by the artist Twan Janssen. This exhibition bundles female force and strength and encourages an open dialogue about art. 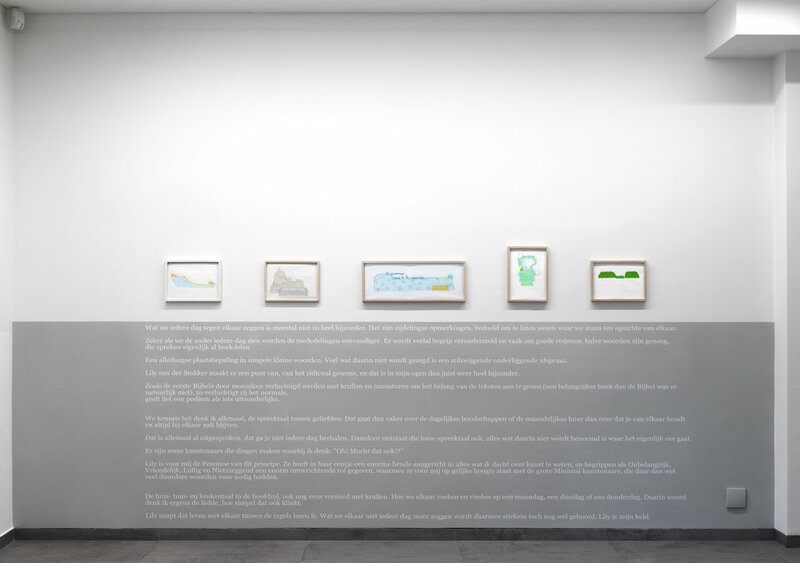 Twan’s text guides you on a viewing and reading trip through the artworks by providing them with a personal perspective in which he shares his wonder, childhood memories and casual everyday thoughts. In this way he persuades you look at the artworks with a different eye, to reflect on art, life, yourself, somebody close, all in a playful way. And more…. 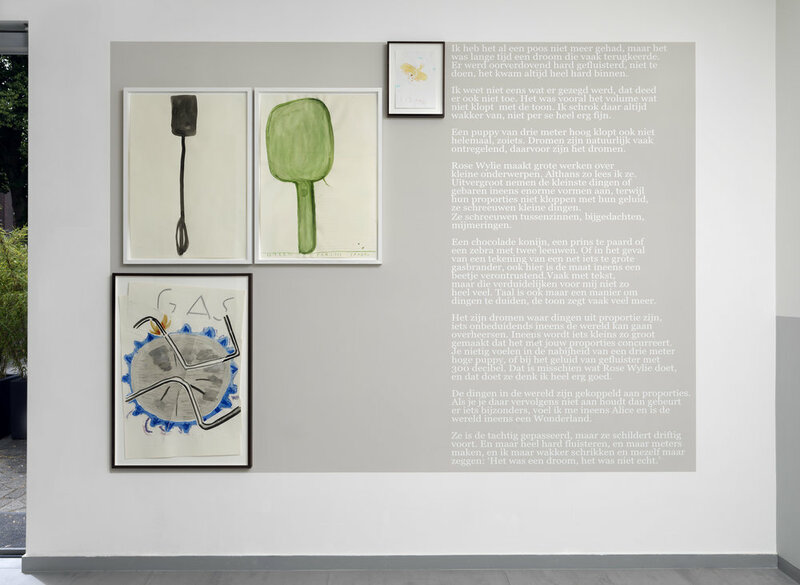 The exhibition unfolds as a story about subjects such as beauty, journey, childhood and being young at heart. But even more it is the position of these 13 female artists who represent a unique place and each new work of art is an ever-advancing reflection in their oeuvre with a significant and very personal signature. Watching and Reading go hand in hand although for each of them the source is different. The Future is Female has a beginning and an end. And everything that happens in between is arranged/positioned in such a way, so that (again) a story is told. This text is floating between the lines. The end is marked by a video work of AnneMarie van Splunter; A Day Such As This. The soundtrack is by Bill Withers; the chorus, lovely Day, lovely Day, lovely Day, lovely Day .... And that is also the beginning, again. A beginning for which a flag is planted for women who make art, who are again and again without doubt use their femininity in favour of their artistic career, to create art that you can not ignore. These artists are moving forward and onward. Watching and Reading go hand in hand although for each of them the source is different. With great gratitude we would like to thank the participating artists for their generous effort and friendly support, they have been a great inspiration and even more we would like to thank them for the wonderful artworks they have made and will make in the future. AnneMarie filmed the children of her sons class of primary school at their house when they open the curtains in the morning to start the day. The film (8 min.) shows 21 children, 21 curtains and 21 views on a small part of Amsterdam city centre: an optimistic welcome of a new day, accompanied by the song Lovely Day of Bill Withers. In spring of this year, AnneMarie made a middle east version and filmed 30 children in their homes in Amman. Jordan. The children are pupils of taekwondo club Al Shabab in Jabal al-Hussein, one of the oldest neighbourhoods in the city. The film is until October part of the second exhibition of the 30-year anniversary celebration of art centre Darat al Funun, a superb 1920 complex in Venetian Mediterranean style and pioneering platform dedicated to placing contemporary art at the heart of Jordan’s cultural life. The Dutch premiere was on Saturday, July 14 @ 16.00 Hrs.